Multiple business award winner and author of two business books, Dr Tyson Franklin has created, bought and sold over twenty podiatry businesses. His most recent business achievement was selling his Cairns podiatry business for a seven-figure amount, which was a record sale for a single location podiatry business in Australia. There is no doubt about it, there are plenty of options for marketing your business, but which are most likely to generate the biggest results? It’s difficult, isn’t it? One minute everyone says to do the social media thing. The next minute they’re saying build your list or content is king so go with content marketing. What about networking or any of the other hundred things you could do? With all this confusion and potential for overwhelm I turn to my new friend, Dr Tyson Franklin. You might not expect to hear marketing advice from a podiatrist… Yes, you read that right. He’s a podiatrist so feet are his thing. As it happens Tyson has started, bought and sold over twenty different podiatry businesses so he really seems to have cracked the code on what it takes to make a business successful. In fact, he’s authored two business books and starting his third. Dr Tyson Franklin is a big advocate of pillar 5: verbal marketing. With this in mind, he wanted to repay the compliment of being on the Get Real About Business Podcast and invite me to be on his own show. 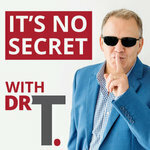 In my interview with Dr T I reveal The Six Vital Steps to Improve Your Public Speaking. Do make sure you check it out and if you speak with Tyson let him know I sent you. 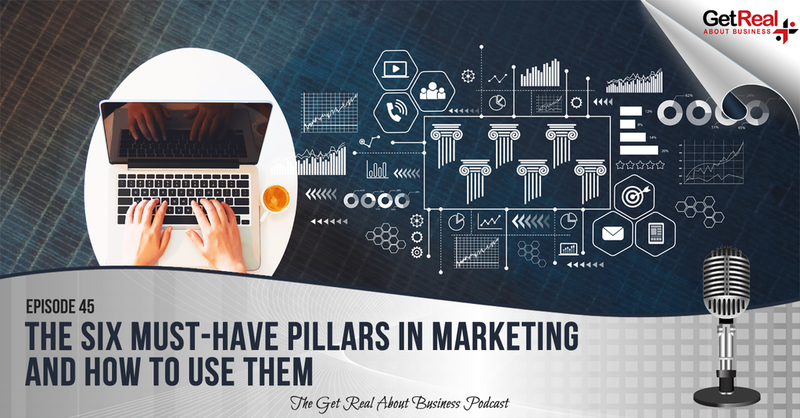 Take the first step in getting your marketing up to speed by reviewing which pillars you have in place right now and where are the gaps. Pick one pillar to focus on then go and make a start there. Strengthen that pillar before you move to the next. Remember that you're far better to do a few things well than a lot of things badly. Special thanks to Dr Tyson Franklin for joining me this episode. Until next time! Previous Post #44: Three Surefire Elevator Pitches for Your Networking Event Next Post #46: If You Were Able to Collaborate with… [Insert Dream Person] What Would That Look Like?